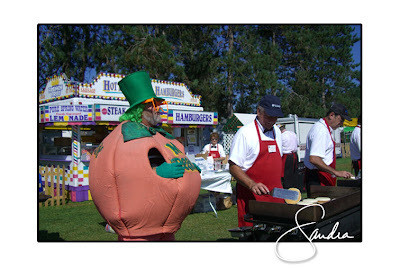 studio smc photography | Sandra Costello: Peach Festival Race! Well, I did it. I completed my first 5-mile race! It was a gorgeous day and I was totally psyched. Okay, psyched might be pushing it but I was excited to get out there. 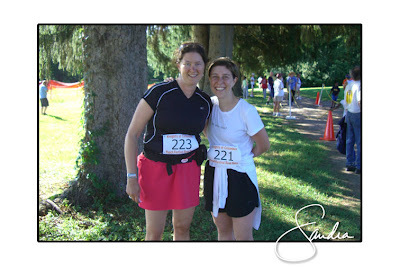 I had two goals: 1. finish, and 2. run it within an hour; both were accomplished. 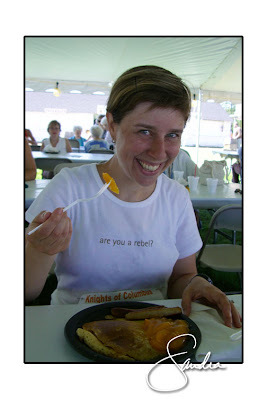 Part of the reason for why I chose this race was because it was part of a peach festival. 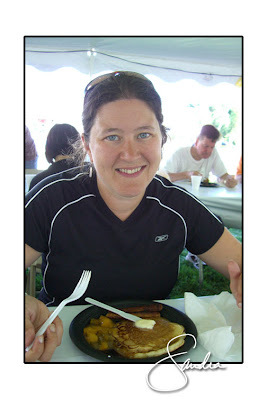 (Also, the race description said it was a flat course:) After we finished the race we were treated to a peach pancake breakfast! It was actually really tasty and came with sausage too. We had to wait in line for a while...I guess the peach festival is pretty popular. While waiting we were exposed to Mr. Peach (see photo below) who was very loud and quite an interesting character. 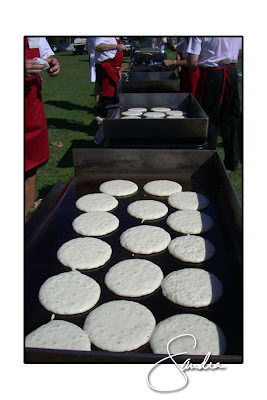 I also got a chance to check out the chefs making the pancakes...6 burners going at all the time. It was a great way to start our Sunday. And as they say at the festival, peach be with you!